Our brand: a credible Guarantee System that adheres to the goals of Fair Trade - trade that delivers sustainable livelihoods and just economy, and helps Fair Trade Organisations, especially small producers, escape from marginalisation. The injustices in conventional trade stem from the imbalances of power in the international negotiating table and supply chain. Small, disadvantaged producers are discriminated by large, influential players. The discrimination leaves many producers marginalised and unable to work their way out of poverty. WFTO and its members believe that trade should work for people and the environment, and not at their expense. The 10 Principles of Fair Trade are the fundamental philosophies established by WFTO members to guide their practices. WFTO prescribes these Principles to organisations as a way of fighting against trade injustices and discrimination. Our brand has a clear message: we fight against poverty and the inequalities in trade through a new Fair Trade system. The World Fair Trade Organization is not just a name and identity, it is an idea. 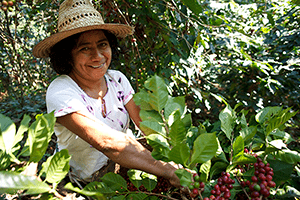 WFTO believes Fair Trade is a global solution.